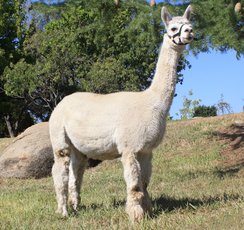 Chelsey is beautifully conformed PPeruvian Javier daughter who has thrown very nice cria. 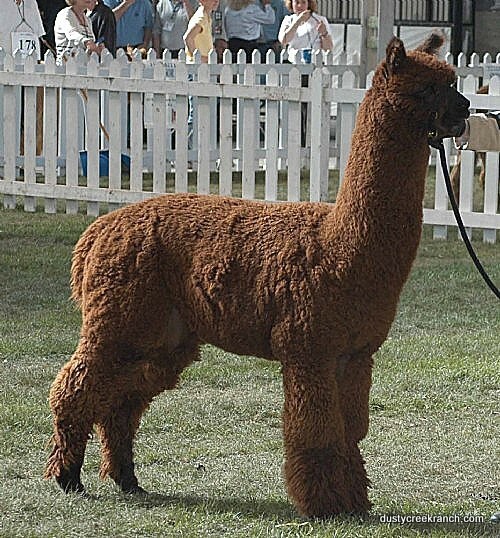 Javier is a Maggie Krieger owned sire from the Kenamori region of Peru and one of Canada's top herdsires. 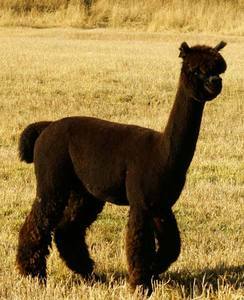 He is a two time get-of-sire winner and has had many champion offspring. 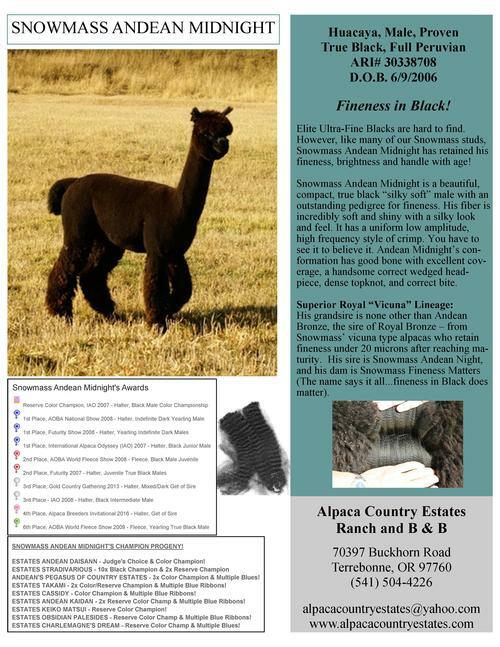 Chelsey still has lustrous, crimpy fleece with good density.